The last issue of Policy Watch mentioned the launching of a new Children’s Social Health Monitor. This is an annual report tracking the impact of the recession on NZ children using a basket of health and well being indicators. It is proving to be useful already at keeping child health (and child poverty) issues on the political agenda. Metiria Turei, the Greens Co-leader referred to the Monitor during oral questions to Paula Bennett (Minister for Social Development and Employment) in Parliament about child poverty and the adequacy of current benefit provisions. The transcript is on the Greens website titled Is the Benefit system meeting the needs of NZ children? Metiria has also urged Lets take child social health seriously. In the last issue of Policy Watch we included a Salvation Army report on alcohol reform called Excising Excess. In a press release by the Office of the Children’s Commissioner, John Angus expresses support for alcohol reforms including increasing the age of restriction for off-licence premises to 20 years, setting a minimum price for alcohol, reducing hours for off-license sales and increasing alcohol tax (excise). More detail is outlined in the OCC submission to the Law Commission. Council agrees that reforms are needed to help protect children and adults from the widespread social harm caused by alcohol abuse. Our policy positions are explained in the NZCCSS submission to the Law Commission. National MPs were unhappy with our opposition to the Bill and there were, as Radio NZ described it, testy exchanges. Check out the NZPA press release. References to our submission are combined with comments regarding other submitters including AA and the Human Rights Commission. The Social Services Select Committee has reported back to govt on the Children Young Persons and their Families Youth Courts and Jurisdictions Bill. This Bill sought to widen the range of sentencing options available to the Youth Court (such as new compulsory orders including parenting, mentoring and drug and alcohol rehabilitation programmes), doubling the length of residential orders and introducing the controversial military style camps for serious repeat offenders. This legislation is in response to the governments Fresh Start policies. Some of you may recall that NZCCSS made a submission on this Bill in which we expressed our opposition to lowering the age of jurisdiction of the Youth Court to include 12 and 13 year olds. We argued that children of this age involved in offending should remain the responsibility of the Family Court. Unfortunately the Select Committee has supported lowering the age. The Select Committee has not recommended any substantive other changes to the Bill. The National Party in their confidence and supply agreement with the ACT Party agreed to a joint commitment to reduce the income gap between Australia and NZ by 2025. A taskforce was set up, led by Don Brash, to look at ways to increase productivity by at least 3% per annum and make recommendations on what changes are needed ‘to bridge the gap’. The 2025 Taskforce Report was recently released and its 35 recommendations were widely condemned. In a nutshell the recommendations are based on a belief in small government, low taxes and the pulling back on government expenditure in a wide range of areas. The report advocates for the abolition of: kiwi saver subsidies, universal subsidies for doctors visits, and 20 hour early childhood education subsidies. Working for Families and the benefit system are seen as needing ‘serious reform’. They also want the introduction of market based interest on student loans, the selling of all govt businesses, selling up Super to pay off debts and increasing the age of eligibility to Super. Maximum tax rate would be capped at 20% for all types of taxes. The recommendations to government on reforms to NZ’s tax system from the Tax Working Group (TWG) will be of much greater interest than those of the 2025 Taskforce. 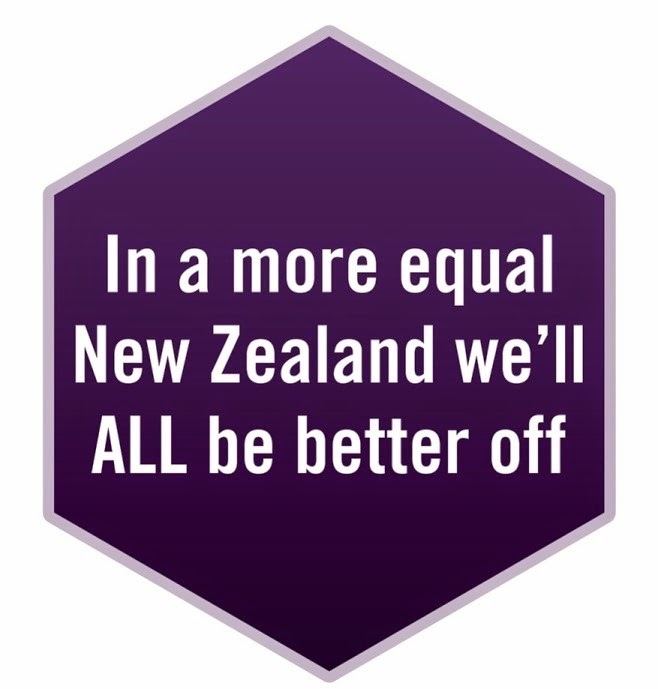 The group was asked to ‘consider the appropriate design of the NZ tax system’ keeping in mind the recommendations had to be fiscally neutral and promote economic growth. Consideration also needed to be given to equity issues, tax integrity and efficiency. The government is keen to lower top personal tax rates and corporate taxes but cannot afford to lose the revenue, hence the need to look at ‘broadening the tax base’. The Group has met five times since June to discuss papers on different tax issues and the implications for NZ. On the table were options such as raising GST, introducing new taxes on capital gains, land and property, changing the tax credits under Working for Families and altering the way property investors can gain tax deductions. In a speech Housing Minister Phil Heatley outlined the Government’s projects to respond to homelessness and to increase the number of homes built by the community housing sector. Multi-agency work to begun in Auckland and will be used as a model for other parts of the country. It focuses on better coordinating available emergency housing and improving information as well as researching the nature of the demand for crisis and transitional housing. The future of the Housing Innovation Fund will be reviewed over the coming months and will be influenced by the Minister’s desire to see the community housing sector scale up and prove that it can deliver more houses. After all, someone has to do it, because neither the National Government nor the private sector are building enough or the right types of houses to meet the needs of low income new Zealanders. Escaping the Debt Trap – Experiences of New Zealand families accessing budgeting services is a Families Commission report that has been recently released. The report demonstrates that budgeting services are making a real difference and are empowering families with the confidence and skills they need to overcome problem debt. However, NZ Federation of Family Budgeting Services chief executive Raewyn Fox has commented in a press release that “the recession has meant there are more people who need our services. That means some of our work isn’t happening, in particular we are dropping the ball on some of our early intervention and financial literacy workshops. This is the work that helps prevent people getting into problem debt”. The Ministry of Education will be investing up to $70,000 per child for the 500 worst behaved school children to keep them at school and improve their behaviour. The Ministry has announced five actions in a five year $45m Positive Behaviour for Learning Action Plan. A number of families interviewed for the NZCCSS Grassroots Voices research commented on the difficulty to accessing services for children and young people with behavioural problems. Hopefully this Action Plan will help to address this gap in service provision. 3. Policy and legislative measures to address the findings. This Unitec course is ideal professional development for anyone working in the not-for-profit sector. The programme is offered through block courses and a variety of venues around the country and in the Pacific. More information on enrolment for 2010 is available online. Te Wananga o Aotearoa is pleased to offer the "Graduate Diploma in Professional Supervision" - Biculturalism in Practice Level 7 beginning March 2010. Attached is a brief outline of the programme. This course is being offered at the following Te Wananga o Aotearoa campuses; Manukau (Auckland), and Porirua (Wellington). The numbers for each programme are limited to 25 max and applications are being accepted now and close on 15 February 2010. Applications can be obtained from Porirua campus by calling the freephone number: 0800 355 553 and ask for Maria Nawrocki. Our third Vulnerability Report has been released on our website, also check out our press release. This is the last issue of Policy Watch for 2009. The next issue will be Monday 11 January. Wishing you all safe and relaxing Christmas Break.